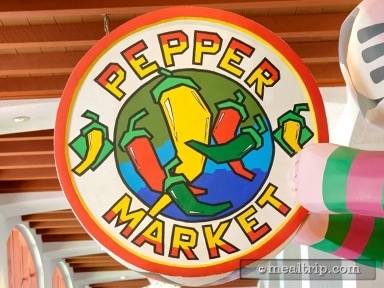 The lunch and dinner period at Pepper Market share an almost identical menu. There may be some “daily specials” on the dinner or lunch menu from time to time. 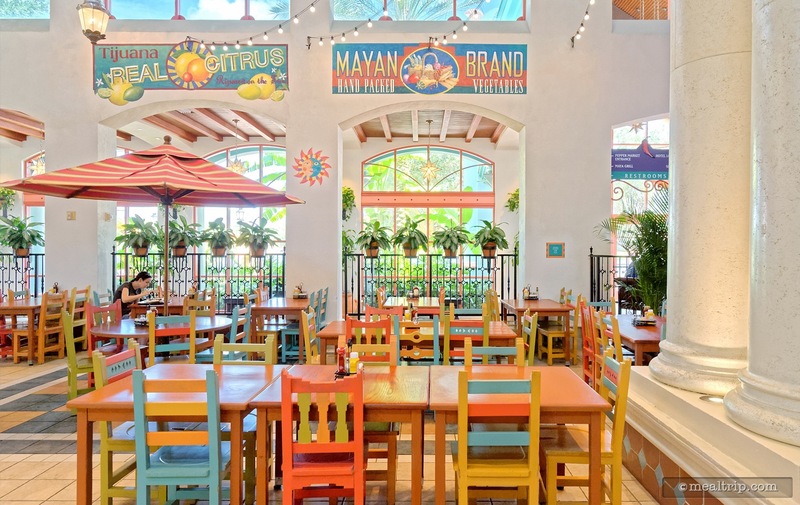 The restaurant is Coronado Spring’s food-court style eatery and the seating has a bit of an outdoor-inside feel. The dining area can get loud at times, but being more of a “business” resort, we’ve found this to actually be one of the quieter food-courts. 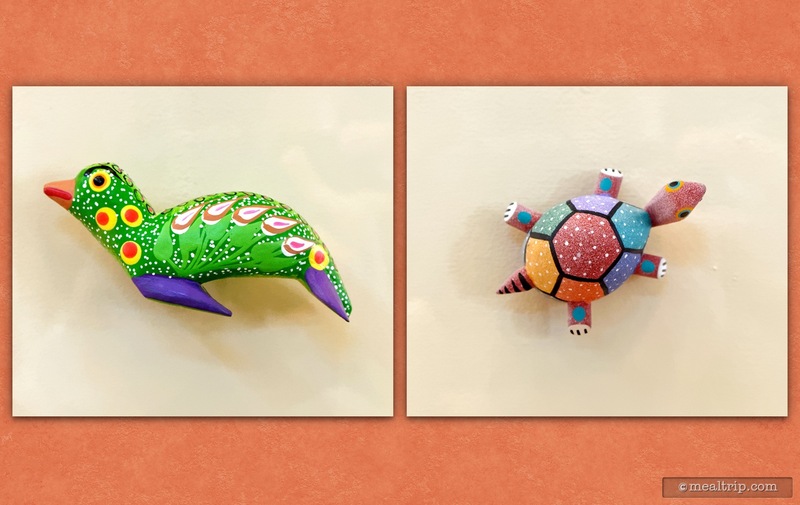 The colors and decor lend a slight South American feel to the area, as do the Oaxacan wood carvings, both large and small. The menu could best be described as American, with South American and Mexican touches here and there. For example, there are standard Cheeseburgers along with Azteca Burgers (which includes fried jalapeños, guacamole, chipotle aioli and pepper jack cheese), and even a Texas Bacon Burger. 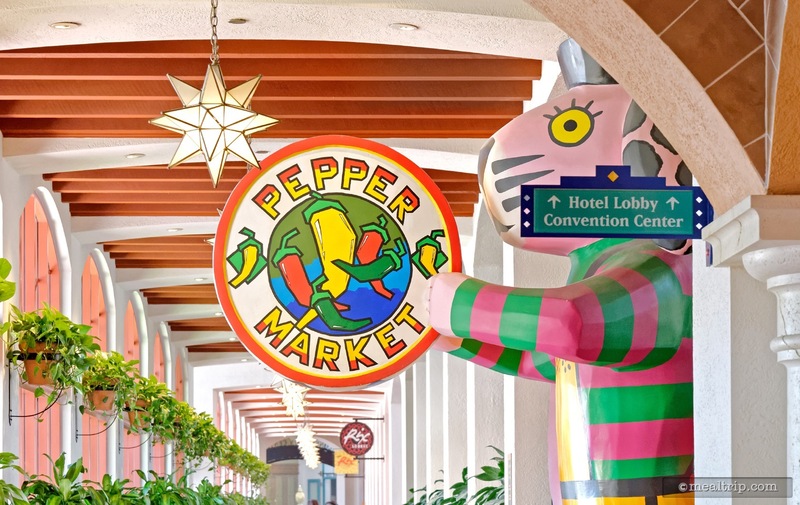 You will find South American favorites such as Enchiladas and a popular “Pepper Market Nachos” entree, along with some of the more familiar “pasta made to order”, pizza, and sandwiches.